DO-06402-24 was succesfully added to your cart. Masterflex Norprene Food (A60 F), L/S 24, 50 ft. Applications: Ideal for the food, dairy, and beverage industries. Characteristics: Heat, ozone, and UV light resistant; nonaging; nonoxidizing; superior acid and alkali resistance. Opaque beige. Flow ranges are approximate—calculated under the following conditions: 0 psig at inlet, 0.5 psig at outlet; water temperature at 72°>F (22°>C). Actual performance varies depending on tubing formulation—silicone and C-Flex are only recommended for applications with 10 psig (0.7 bar) backpressure or less. Is this tubing plasticizer free? Yes, this tubing is plasticizer free. What is the wall thickness on this tubing?? Unfortunately the OD of all of the Masterflex tubing options is not published as this is proprietary information. The entire tubing line is made specifically for our Masterflex pumps and to our specific specifications in order to achieve the flowrates we publish. The best way to determine the OD of the tubing would be to measure the tubing as we do not have a reference chart that will list the OD of any Masterflex tubing options. is this hose material compatible with cetyl alcohol at 100 c? We do not have chemical compatibility data on hand for cetyl alcohol and any material. I suggest ordering a tubing test kit, which is free under part number 00101-10, to test which composition would be compatible. Norprene tubing is available in 1/8" ID x 1/4" OD as our 95710-10, or as 1/16" ID x 3/32" OD as our 95710-00. It is not available sized 1/8" x 3/32". If you intend to use the tubing in the head of a Masterflex pump and need 1/8" ID, then order LS-16 size tubing, our 06402-16. What is the chemical compatibility of norprene with concentrated sulfuric acid? Concentrated Sulfuric will serverely effect the Norprene tubing. They are not compatible, please contact us by phone or email for further assistance. What is the minimum volume that can be dispensed by this tube diameter using a 600 rpm motor and an Easy Load II head? Asked on 10/19/2009 by Paul from Andover, Hants. The minimum dispensing volume will be based upon the minimum RPM limit of the drive. Please let us know what drive you have, or what the minimum RPM is. You may contact us by phone or email, contact information may be found ont he website. What is the OD of this tubing? 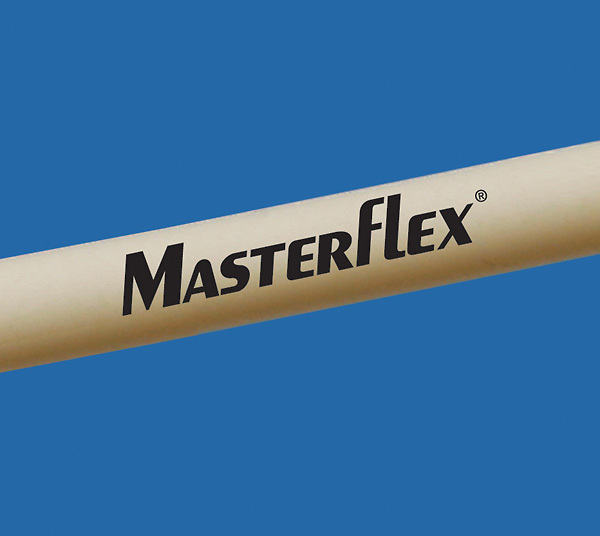 MasterFlex outer diameter dimensions are not listed as it is considered proprietary information. Masterflex Norprene Food tubing (A60 F), L/S 24, 50 ft.
Pump on a Stoelting IC machine with a Duke pump. I use the tubing on a stoelting u3 transfer pump for ice cream production. Very good as for it's price to be used in ice cream and whipped cream machines.